Please join us as we extend a wholehearted welcome to the new team of Franciscan Friars Conventual recently appointed to serve St. Paul Parish . Father Joseph Benicewicz, OFM Conv. 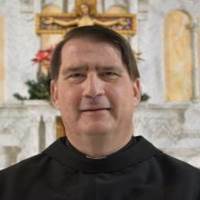 Father Joseph is an experienced educator and administrator who comes to us from Chicopee, Massachusetts where he has served as Rector and Pastor of St. Stanislaus Basilica since 2014. Father Joseph is a 1978 graduate of Archbishop Curley High School in Baltimore MD where he grew up in the Graceland Park neighborhood of southeast Baltimore in Sacred Heart of Mary Parish. Upon graduation from Curley, he entered the Franciscan Friars novitiate in Ellicott City, MD and then went on to St. Hyacinth College Seminary in Granby, MA where he earned a B.A. in philosophy in 1983. Fr. Joseph will arrive here at St. Paul on August 1st. Father Michael Englert is no stranger here at St. Paul’s since he served on the team with the friars here thirteen years ago. ﻿Father Michael was born the sixth of seven children. As a child, he attended Catholic elementary schools and continued his education at Cardinal O’Hara High School which was run by the Franciscan Friars. In 1979 at the age of 22, Father Michael entered the novitiate of the Francican Friars Conventual in Ellicott City, MD. After a year of prayer and discernment he made his simple vows on August 15th the Feast of the Assumption of Mary. Father Michael studied Philosophy at the St. Hyacinth College-Seminary in Granby, MA where after four years he graduated with a BA in Philosophy. After spending a year teaching at St. Francis High School in Hamburg, NY, he made his solemn perpetual vows as a friar. During the following four years Father Michael studied theology and earned a Master of Divinity in preparation for his Ordination to the priesthood. These studies took place in Rensselaer, NY and in Washington, DC. In June 1989 he was ordained to the priesthood in Baltimore, MD. After his ordination, Father Michael served in parish ministry in Shamokin, PA, Athol Springs, NY, Port Saint Lucie, FL, and most recently at St. Stanislaus Basilica in Chicopee, MA. In 1998 Father Michael served for one year in Honduras. Upon returning he served as campus minister for two years at Catholic University of America in Washington, DC. Thereafter he came and served here at St. Paul in Kensington for several years. 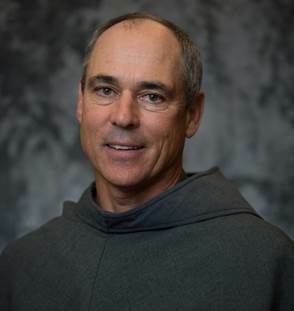 Father Michael will also serve the Friars as the Guardian (local superior of the Friars) having been elected to this ministry by Friars gathered in their Provincial Chapter in June. Fr. Michael will arrive here at St. Paul in early August. Father Peter was born in Legnica, Poland. After graduation from High School in 1987, Father Peter joined the Order of Friars Minor Conventual and studied at the Franciscan Seminary in Krakow. He continued his studies at St. Charles University of Prague. Father Peter was ordained to the Priesthood on February 12, 1994. He then continued his ministry as a Parochial Vicar, Pastor and Guardian at several places in the Czech Republic (Opava, Brno, and Jihlava). In 2003, Father Peter went to Uganda and ministered for three years as a Franciscan missionary in the newly opened mission in Kakooge. After that, he returned to Poland and worked as a hospital Chaplain in Wroclaw, Poland, as well as a Director of the Pastoral Center for English Speakers. Father Peter arrived in the USA in 2008 and began his ministry at St. Stanislaus Basilica in Chicopee, MA. After two years of ministry in New England, he was transferred to Washington, D.C. and worked at The Catholic University of America in Campus Ministry as an Associate Chaplain for Graduate and Law School Students. 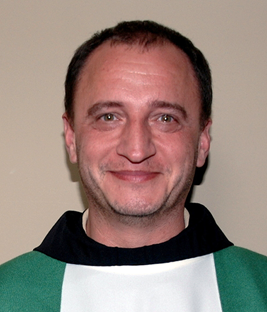 From September 2011 to July 2015, Father Peter served as Parochial Vicar at St. Margaret Mary Parish in Algonquin, IL. He was then assigned to St. Philip Benizi Parish in 2015 and was recently assigned to begin his ministry as Parochial Vicar with us here at St. Paul’s. Currently, Father Peter is serving as a translator at the General Chapter of the Franciscan Friars meeting in Rome, Italy. Fr. Peter is scheduled to arrive here in Kensington in mid September. Welcome Fr. Peter! Witamy Ojca Piotra! These appointments were announced by Archbishop Leonard Blair after being presented by Father James McCurry, OFM Conv., the Minister Provincial of Our Lady of the Angels Province of the Franciscan Friars Conventual. Visit the St. Paul Parish Website!